This is a quick movie review of a good film starring Jeremy Renner. Journalist Gary Webb (Jeremy Renner) happens upon a story that not only leads to the origins of America’s crack epidemic but also alleges that the CIA was well-aware of the dealers who were smuggling cocaine into the U.S. and using the profits to arm Nicaraguan rebels. Despite warnings to halt his investigation, Webb keeps digging and uncovers a conspiracy with explosive implications. As a result of his findings, Webb’s career, family and life come under threat. Jeremy Renner movies on Amazon. 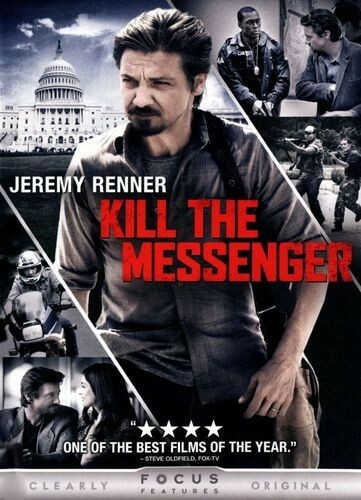 Kill The Messenger is directed by Michael Cuesta, whose resume includes American Assassin, 12 And Holding, & Tell-Tale. The film’s opening act shows Webb finding information that takes him on a perilous journey of uncovering a surprising piece of information. Rather than hunker down and play it safe, he pursues the trail that the information takes him. By act two, he’s starting to catch drift of just how dangerous his information pursuit is becoming, but he chooses to stay the course. But when he’s asked if he’s married or has children, you know where this is going to go. Or presume such. Then he gets the call to meet with some feds to have that conversation that literally turns into a veiled threat to his family. But all it does is tick him off and pushes his resolve even more. Then he goes to press and the fireworks begin, for all involved. To be honest, this would seem to be the best role I’ve ever seen Jeremy Renner in. This was not a swashbuckling adventure character or Marvel super hero. Instead, his portrayal of a real-life news reporter was nice to see. We got to see Renner’s acting chops that go beyond wielding a bow, gun or sword. He needs more roles like this. The other thing this film reminds me of is Renner's talent and why he's able to carry lesser characters like Marvel's Hawkeye to life. Rotten Tomatoes prof critics ended up giving the film a score of 77% while IMDb users gave the movie a 7/10. And I tend to agree. For Jeremy Renner fans, I think you’ll enjoy this film.